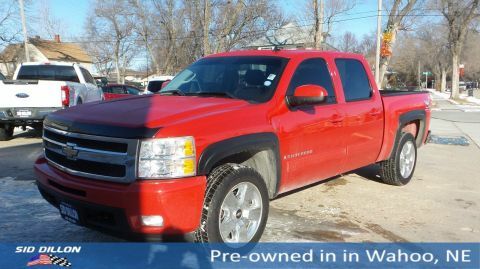 Come see this 2009 Chevrolet Silverado 1500 LTZ before it's too late! 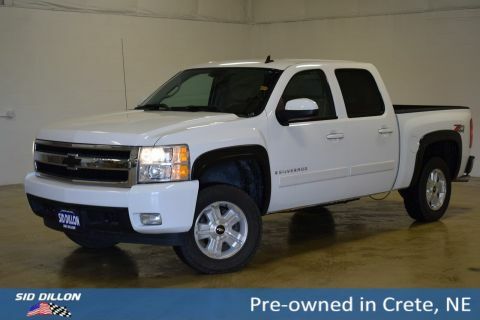 SUSPENSION PACKAGE, OFF-ROAD includes 1.81 (46 mm) shocks, off-road jounce bumpers, 34mm front stabilizer bar, (NZZ) Skid Plate Package, (V76) recovery hooks, (K47) air cleaner and Z71 decals on rear quarters, SKID PLATE PACKAGE frame-mounted shields, includes front underbody shield starting behind front bumper and running to first cross-member, protecting front underbody, oil pan, differential case and transfer case , WHEELS, 4-18 X 8 (45.7 CM X 20.3 CM) ALUMINUM (spare wheel will not cosmetically match the other 4 wheels), TRANSMISSION, 6-SPEED AUTOMATIC (STD), TIRES, P265/65R18 ON-/OFF-ROAD, WHITE OUTLINED-LETTER includes all-season 17 spare, SEATS, FRONT BUCKET includes 10-way power driver and front passenger seat adjusters including 2-way power lumbar control, heated seat cushions and seatbacks, 2-position driver memory, adjustable outboard head restraints, floor console and storage pockets (STD), REAR AXLE, 3.42 RATIO, PAINT, SOLID, LTZ PREFERRED EQUIPMENT GROUP includes standard equipment, LICENSE PLATE BRACKET, FRONT (will be forced on orders with ship-to states that require a front license plate). 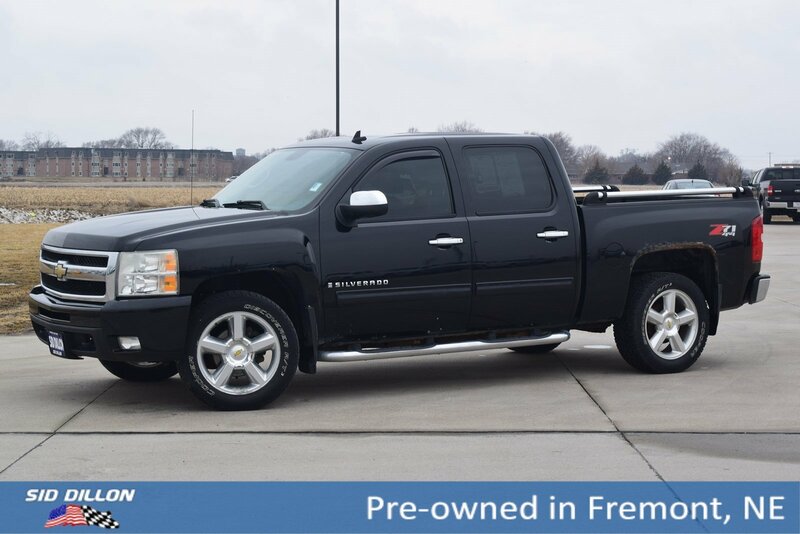 As reported by KBB.com: If you need to tailor your pickup truck to your exact requirements, the 2009 Chevrolet Silverado enables you to do just that with a wide variety of configurations, bed lengths and trim levels. 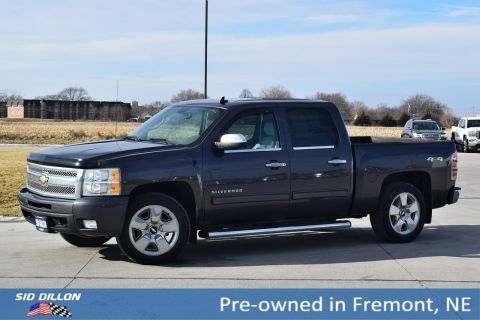 The Silverado's V8 engine lineup offers Active Fuel Management technology, Flex-Fuel E85 capability and even a hybrid model. OnStar, 1-year of Safe and Sound plan Includes Automatic Crash Notification, Automatic Notification of Air Bag Deployment, Stolen Vehicle Location Assistance, a link to all Emergency Services, Roadside Assistance, Remote Door Unlock (requires power locks), OnStar Vehicle Diagnostics, Hands-Free Calling and Remote Horn and Lights (OnStar services require vehicle electrical system (including battery), wireless service and GPS satellite signals to be available and operating for features to function properly. OnStar acts as a link to existing emergency service providers. OnStar Vehicle Diagnostics available on most 2004 MY and newer GM vehicles. Diagnostic capability varies by model. Visit onstar.com for system limitations and details. If the order type is FDR, (UE0) OnStar delete will be forced on. Not available with a ship-to of Puerto Rico or the Virgin Islands. For a list of vehicles with Automatic Crash Notification visit onstar.com. Remote Door Unlock requires (AU3) Power door locks. † Based on 2009 EPA mileage ratings. Use for comparison purposes only. Your actual mileage may vary depending on how you drive and maintain your vehicle.